This weekend, one of the year’s best films will play in 38 theaters across the country, and most of the general public will not see it—indeed, most will never even hear of it. The film is Red State, a potent and unsettling hybrid of horror, action, and socio-political commentary that echoes the Phelps family and the Waco massacre. 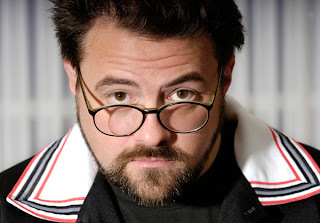 It is the tenth feature film from Kevin Smith, the foul-mouthed auteur who burst onto the scene with the legendarily ingenious low-budget effort Clerks and who has spent the years since sharply dividing film fans, critics, and Internet commenters. Red State is 180 degrees from anything he has ever done; his filmography to date has been firmly comedic, with occasional seasonings of fantasy, romance, and action. Red State is deadly serious… and seriously disturbing. It is easily his finest film to date, but most moviegoers will remain completely unaware of it, because Smith has undercut its success at every turn with his own hubris, greed, or ignorance. Or, perhaps, all three. Open Thread: What’s Your Pop-Culture Blind Spot? Last Friday—as we do every Friday—your Flavorwire ran “Trailer Park,” a round-up of all of the week’s new film trailers. Putting that post together involves a weekly ritual of busily combing film sites, assembling first a list of what has burst out of the studios (and the focus groups) that week, and then moving over to YouTube to view and react, and so on. But there was one trailer that did not make that list and did not make the post, even though it appeared on every single site I visit in researching that feature, and that was the trailer for The Twilight Sage: Breaking Dawn- Part 1. The reason I didn’t include it was simple: I have never seen a Twilight movie, and I have never read a Twilight book. Does this make me an irresponsible writer? What’s more, does it make me a bad person? These are tough times for Netflix loyalists. The company’s recent subscription price uptick invoked a fury across the Internet that was, frankly, a little disproportionate; sure, they could’ve handled it better, but seriously, the $20 a month your author is paying for unlimited streaming and one-out-at-a-time DVD or Blu-ray is, any way you slice it, a bargain. The end of Netflix’s streaming deal with Starz that was announced shortly thereafter was ill-timed, but we seldom watched those “Starz-Play” titles anyway, since they were usually in the wrong aspect ratio. The subscriber drop that followed the price increase wasn’t good news for anybody, but the way we saw it, that translated to a shorter wait for that Blu-ray of Thor. But now there’s this “An Explanation and Some Reflections” email and blog post from Reed Hastings, Netflix’s co-founder and CEO, and even us apologists can’t explain away this madness. Read it (and our contributions to the blogosphere-wide chorus of “WTF?”) after the jump. Actors make movies for many reasons: to stretch their skills, to work with admired co-stars or filmmakers, to help tell a story that they believe has value. And, sometimes, they make a movie for a nice chunk of cheddar. Mr. DeNiro, for one, has certainly had no qualms—particularly over the last decade or so—with lending his well-regarded talents to several projects that were in no danger of contributing to his Oscar shelf; in honor of his latest payday performance, let’s take a look at ten of his fellow thespians, and the depths to which they’ve traveled for a few extra zeros. There are an abundance of reasons to put "see Moneyball" on your weekend to-do list: First film since Capote from director Bennett Miller; Aaron Sorkin and Steven Zaillan adapting a Michael Lewis book; Philip Seymour Hoffman, Robin Wright, and Chris Pratt (aka Andy Dwyer) in supporting roles; the baby blues of one William Bradley Pitt. And then there is our old friend Jonah Hill, who has taken the opportunity here to make the leap we've come to expect from any comedic performer of note: the transition to "serious acting." After the jump, join us for a look at the strategies that Hill's predecessors adopted in making their move towards drama, and how they fared. Trailer Park: ‘The Girl with the Dragon Tattoo,’ ‘J. Edgar,’ and More! Welcome to “Trailer Park,” our regular Friday feature where we collect the week’s new trailers all in one place and do a little “judging a book by its cover,” ranking them from worst to best and taking our best guess at what they may be hiding. We’ve got ten new trailers this week, from biopics to historical epics to documentaries to thrillers; check ‘em out after the jump. If Puncture were a book, it'd be a beach read--junk, basically, but really hard to put down. It's not intellectually stimulating, but it moves, popping through its well-worn narrative with style and efficiency. It's a Civil Action/Erin Brockovich-style based-on-a-true-story backroom legal drama, and like those films, it primarily separates itself from the countless TV movies in the same mold thanks to the efforts of a powerful star performance. In this case, that performance is by Chris Evans. I'm as surprised as you are. 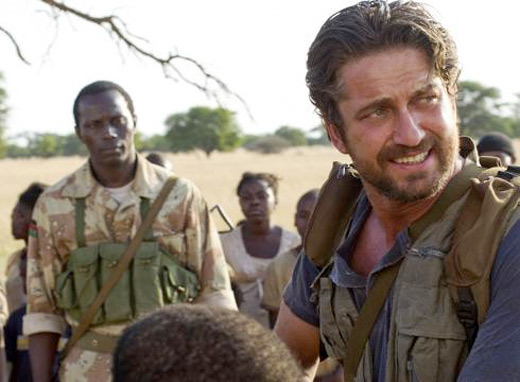 In Theaters: "Machine Gun Preacher"
The trouble with biographical motion pictures is that, for the most part, the very reason that they exist is because they’re a variation on stories we’ve seen before. Whenever anyone says, “What an amazing life he/she has led! That’d make a good movie!” the logic at work is that the story seems cinematic, and the reason it seems so is because it conforms to the kind of story arcs—hitting bottom, making one’s own way in the face of adversity, triumphing over the odds, and so on—that have become boilerplate. The truth of the matter is, the fact that someone’s life could be a movie doesn’t necessarily mean that it would be a good one. Which brings us to Machine Gun Preacher (a title that continues to rankle; whatever root it may have in the real story, it makes the picture sound as though it should be playing the lower half of a grindhouse-revival double-bill, alongside Hobo With a Shotgun). It is, as the opening titles inform us (immediately following the title, in fact), “based on the life of Sam Childers,” and it is an extraordinary story; Childers was a convicted felon and all-around roughneck biker who found God, built a church, and ended up pouring his time, energy, and money into an orphanage he built in Sudan. On DVD: "September 11th Memorial Edition"
Why do we do this to ourselves every year? With the tenth anniversary of the 9/11/01 attacks just in the rearview, it is worth contemplating why we, as a country, take such great pains on that anniversary to subject ourselves to reliving it—the TV specials, the remembrances, and inevitably, the “as it happened” re-airings of network news coverage from that day. We watch the events of that horrible morning replayed, one inevitable event after another, helplessly screaming at our televisions; nothing we do will change anything. The second plane will crash into the second tower, which will collapse 56 minutes later, and then the first tower will collapse 29 minutes after that, and watching those buildings crumble and take the lives of thousands of Americans is something akin to watching a snuff film. Why do we do it?